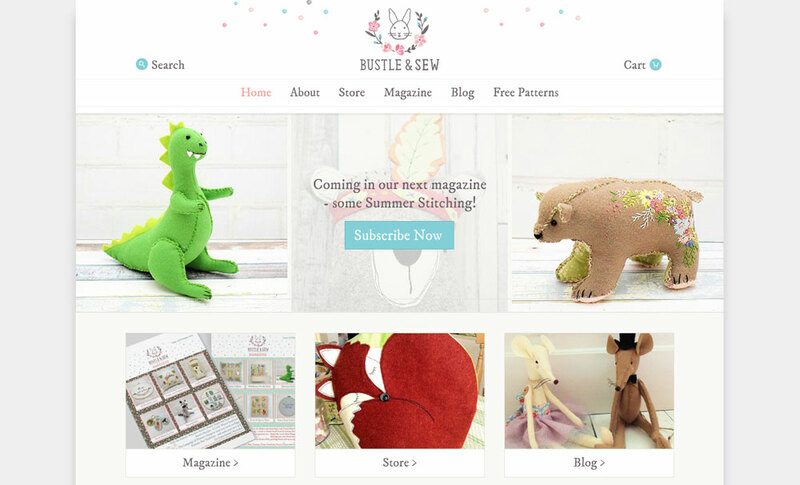 A website redesign for a Somerset based, stitching and craft company, Bustle & Sew. Recently, we were approached by Helen and Rosie from Bustle & Sew, a local company not far from Wells, Somerset. Bustle & Sew blog frequently to share tales of life in Somerset, as well as producing a monthly magazine for their subscribers. They also sell sewing patterns and various other crafting projects. One of the challenges with this site was the sheer number of things going on with it. Over 1100 blog posts, over 360 products and that’s not even counting the existing magazine subscribers and PDF files! 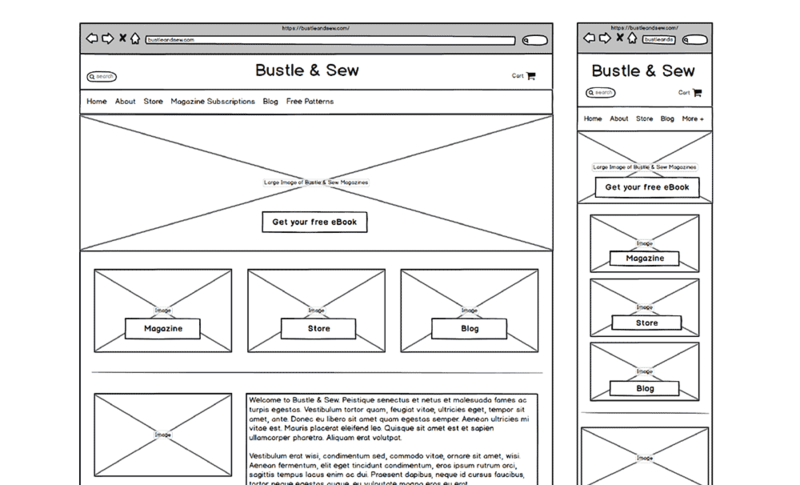 After building a comprehensive site map, we designed some wireframes. This was followed by some high resolution photoshop visuals to get to a stage where we were all happy with the proposed website redesign. We then coded a new, bespoke WordPress theme that built in most of the required functionality from the start. This reduces the risk of any conflicting plugins on the Bustle & Sew WordPress website in the future. One of the plugins we did keep was WooCommerce to handle all of the eCommerce functionality as we’ve used in many times before for other WordPress websites and find it a high quality plugin that works really well. Once a beta version of the site had been tested and approved, we cautiously launched the new WordPress theme. Naturally, with a project of this size, there have been some bug fixes that we’ve ironed out, but overall the WordPress theme is working well and the website is performing much faster than before, along with a clean, modern aesthetic. 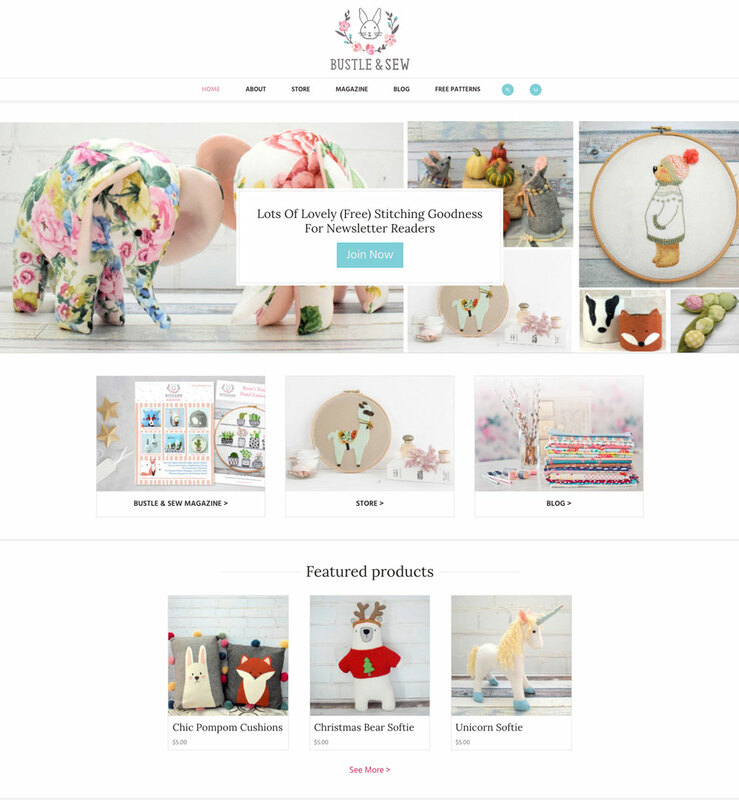 If you would like to find out more about the Bustle & Sew WordPress website redesign or would like to commission us to do the same for you, just drop us a line via our contact form.